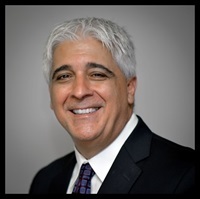 PP&D Accounting, author of "Detecting Fraud In Organizations"
Joseph Petrucelli is a founding partner of PP&D Accounting in Woodbridge, NJ. Petrucelli is often cited in the media and accounting journals for his work as a forensic accountant. He is an FCPA Forensic Certified Public Accountant through and holds various other certifications with the American Institute of Certified Public Accountants, National Association of Certified Valuation Analyst, National Association of Certified Valuation Analyst Forensic Academy, the NJ State Board of Accountancy. Petrucellis is an adjunct professor at CUNY College of Staten Island where he teaches forensic accounting. He is the author of “Detecting Fraud in Organizations” which was published by Wiley Publishing in 2013. He is a graduate of Kean University where he has a BS in Economics with a Concentration in Accounting.